Captives by Quayola « Adafruit Industries – Makers, hackers, artists, designers and engineers! Captives is an ongoing series of digital and physical sculptures, a contemporary interpretation of Michelangelo’s unfinished series “Prigioni” (1513-1534) and his technique of “non-finito”. The work explores the tension and equilibrium between form and matter, man-made objects of perfection and complex, chaotic forms of nature. Whilst referencing Renaissance sculptures, the focus of this series shifts from pure figurative representation to the articulation of matter itself. As in the original “Prigioni” the classic figures are left unfinished, documenting the very history of their creation and transformation. 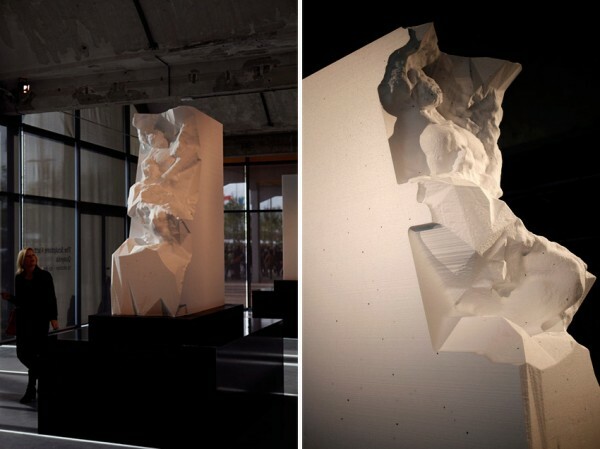 Mathematical functions and processes describe computer-generated geological formations that evolve endlessly, morphing into classical figures. 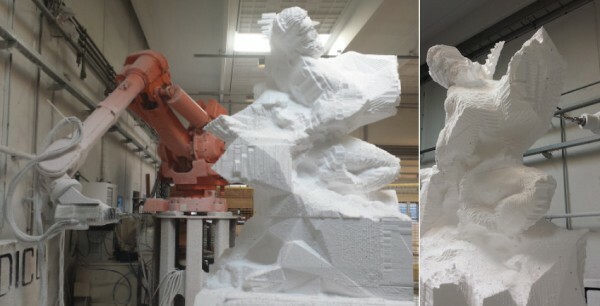 Industrial computer-controlled robots sculpt the resulting geometries into life-size “unfinished” sculptures.